Controlling a fire is of the utmost importance when firefighters first arrive on scene. Portable water tanks are an affordable and practical solution to making sure that water is readily available for fire fighting efforts. 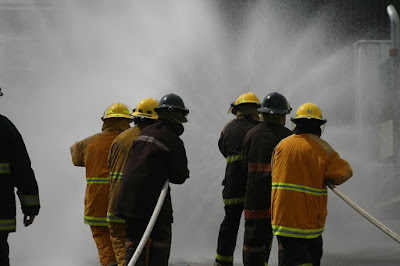 Fire engines typically carry about 500 gallons of water in the truck to a fire. This allows firefighters to start fighting the fire upon arrival. Meanwhile, others can set up access to the local water supply. For most fires, firefighters will attach fire hoses to a nearby fire hydrant to draw from local water mains. Once the hoses are attached to the hydrant, water is pumped to the truck where it is pressurized to supply water for multiple fire hoses. 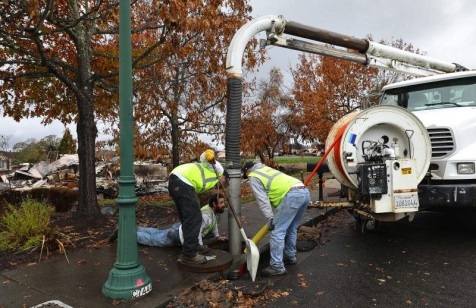 In addition to allowing for quick attachment, modern fire hydrants access water underground and below the freeze line, ensuring the water doesn’t freeze in cold temperatures when needed. 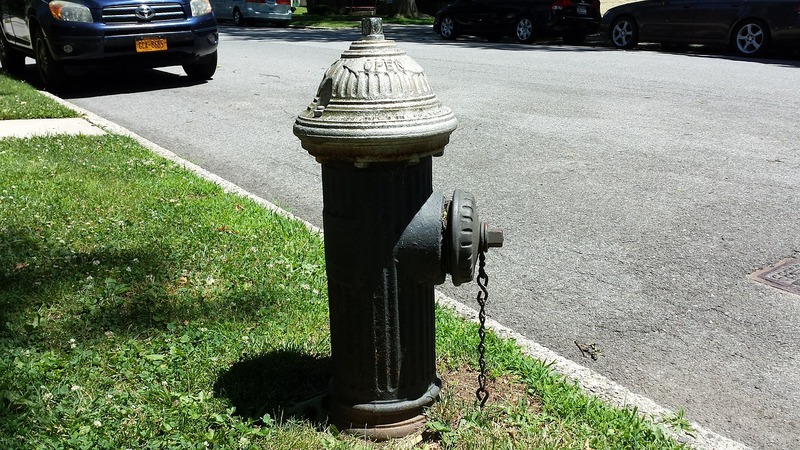 Unfortunately, fire hydrants aren’t always reliable as an emergency source of water. 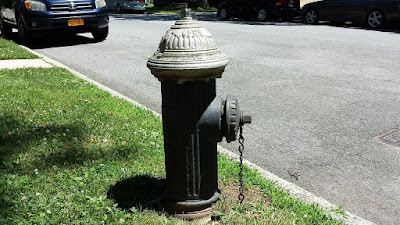 For starters, fire hydrants accesses public water mains, the same source used by local residents for daily tasks, such as drinking, bathing, irrigation, and garden watering. With so many people drawing water from one source, the hydrant’s available water pressure can impacted. As a result, firefighters may have to find a hydrant much further away, wasting valuable time. After arriving on the scene, there are several reasons why a fire hydrant may not produce water. It may not have been properly maintained, a water pipe may be broken, or a below-ground valve may be closed. The access to the hydrant may also be blocked by parked or first responder vehicles. Any of these situations will force the need to hook up to a different hydrant or an alternative water supply. Fire fighters may also find that there isn’t a fire hydrant located in the area. 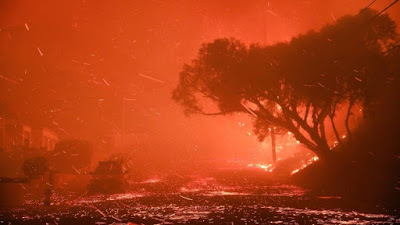 While many rural fire companies are equipped to haul a larger quantity of water to handle a fire, there are situations, such as wildfires, where urban fire companies are called in for support. When this occurs, the trucks may lack the necessary amount of water to extinguish or control the fire. As one solution, the fire engine may be accompanied by a water tender. Also known as a tanker, the water tender is a truck specifically designed to carry large amounts of water. With the ability to draw from a variety of sources, such as swimming pools, ponds, creeks, rivers, and lakes, these trucks can carry between 2,000 and 4,000 gallons of water. 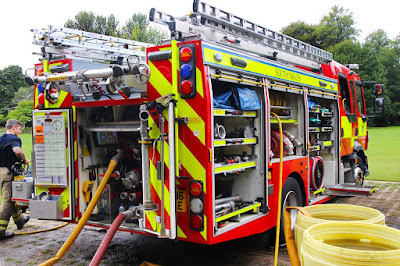 The decision of when to deploy a water tender usually depends on the location of the fire. If the fire is located near a fire hydrant, a water tender may not be called unless the water supply begins to run low. For rural areas where a fire hydrant may not be available, the water tender may accompany the fire engine to the scene. 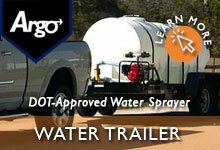 When a water tender is called into action, it will usually carry a portable water tank with it. 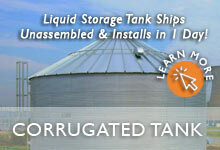 These tanks have a capacity between 1,000 and 2,500 gallons. 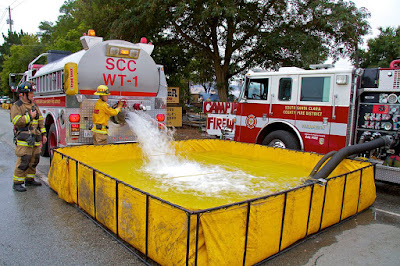 When the water tender discharges water into a portable tank, it can do so at a rate of about 1,000 gallons per minute, allowing for a quick switch from hydrant to tank or to quickly begin the fight if a hydrant is not available. Once the portable tank is filled with water, the process is similar to using a fire hydrant. The water is drawn into the fire engine where it is pressurized and sent through the fire hoses to extinguish the flames. 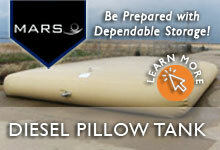 There are two types of portable tanks that are typically used for additional water availability. The most common type of portable tank for fire fighting usage is a frame tank, which is flexible and supported by an aluminum frame. All of these tanks are both easy and quick to set up, since time is critical in fire fighting. 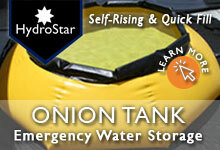 A self-supporting tank, such as an onion tank , has the ability to support the water inside the tank itself. 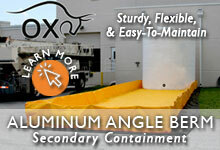 A high-sided foldout tank is a bucket built specifically to be transported by a helicopter, often used for wildfires. With these tanks on hand, firefighters are assured they have enough water to put out the fire, saving property and lives. 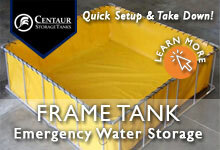 GEI Works manufactures a wide selection of standard and custom portable water tanks. 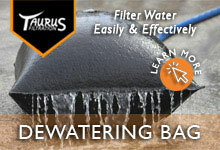 Known for quality and durability, we supply water tanks throughout the nation, and worldwide. Wildfires cause devastating heat, fire, and burning destruction. 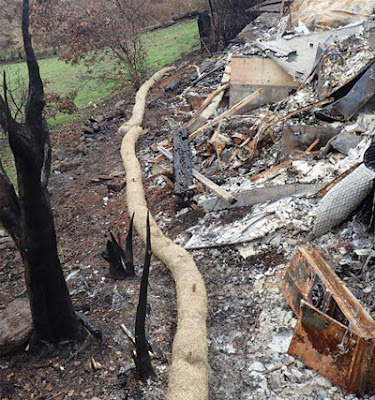 After the wildfire’s ash settles and the rain pours, mudslides quickly erode the burned land, carrying a swath of debris and muddy sludge downhill. As runoff pours downhill, it enters into waterways such as streams and lakes, degrading the water quality. This impact to water is the focus of part three in our wildfire series. We will discuss where our water supply comes from, how wildfire affects it, what contaminates it, and water pollution solutions for preventing and treating it. We will demonstrate how the Thomas Fire in southern California has affected the water supply in the county of Ventura, and how they are responding. 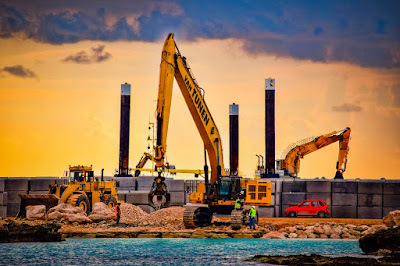 Part one, which focuses on water storage preparation, is here. 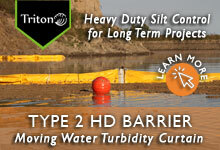 Part Two, which focuses on erosion control, is here. Clear and clean water is one of the most basic of human necessities. We need it to drink and replenish our bodies. We need it to irrigate crops to grow food. 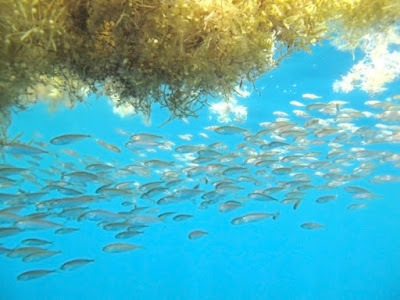 Aquatic life needs it to breathe, and to swim freely and see clearly. Clean water matters and enables us to function and flourish. 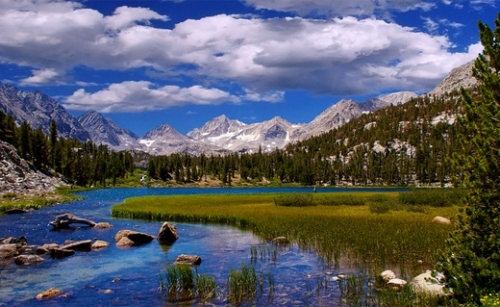 The majority of our water sources originate from forested land. Since forests provide so much of our water supply, it’s important to protect the forests’ watersheds . Over 70 million acres have burned in the U.S. in the past 10 years, according to the U.S. Forest Service. Unhealthy forests can negatively affect our water quality, so there is reason to have concern, particularly after big wildfires. Generally, the water quality is better coming from a forest area than elsewhere, but after a mega wildfire, such as the Thomas Fire, that natural water supply can be severely affected and contaminated. 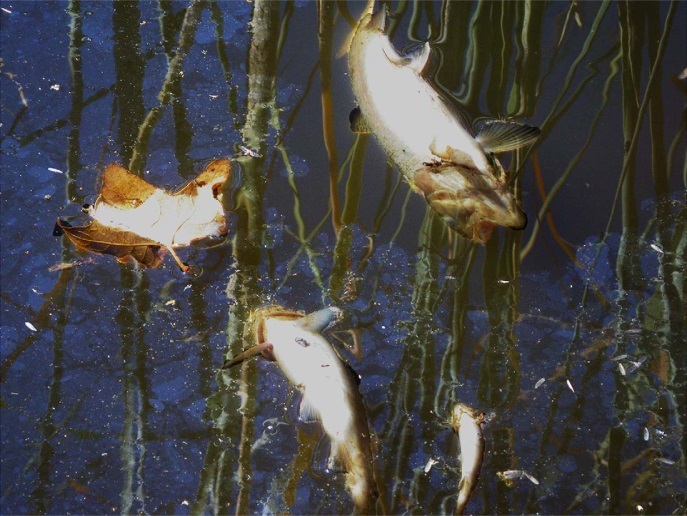 Contaminants from post-wildfire runoff harm aquatic life in ecosystems, killing fish and plants. They also compromise water quality in water district municipalities, causing boil water alerts and a diversion of water sources which leads to unsafe low water pressure. The severity of the wildfire determines the degree to which the water quality degrades. It is based on several factors: post-wildfire precipitation, watershed topography and ecology of the local region. Some of the common contaminants found in water runoff are elevated heavy metals (including iron, lead, nickel, and zinc), phosphorous and nitrates, pesticides, remnants from flame retardant, and chemicals. Ash and debris can also contaminate water bodies. The debris accumulates and travels in stormwater runoff to new locations. 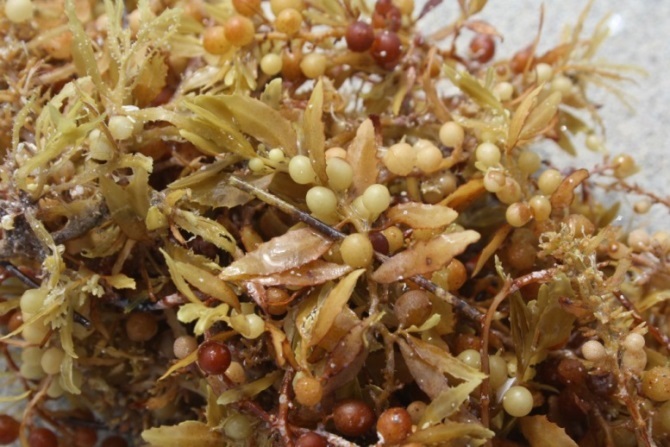 It can also be blown by the wind into water sources. The communities surrounding the Thomas Fire burn area understand this contamination all too well. 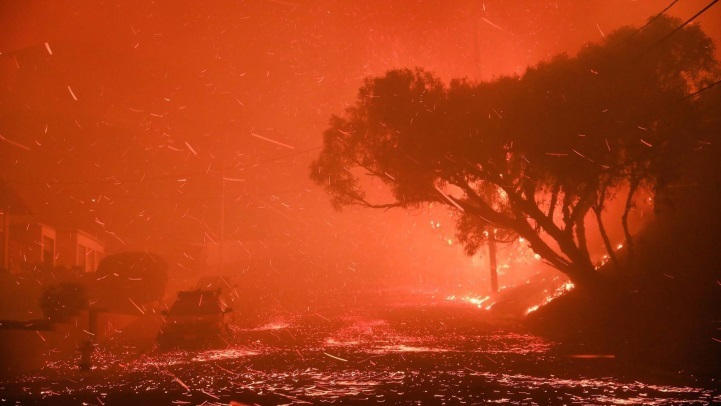 On January 9th, torrential rains fell in Ventura County, close to the southern California Thomas Fire burn area. The recent fires burned at such high temperatures through the upper watershed that it left behind a significant amount of ash and debris. The muddy runoff gathered debris as it rolled downhill and into the water ways. It overwhelmed the Matilija Dam, which flows into the main tributary of the Ventura River. 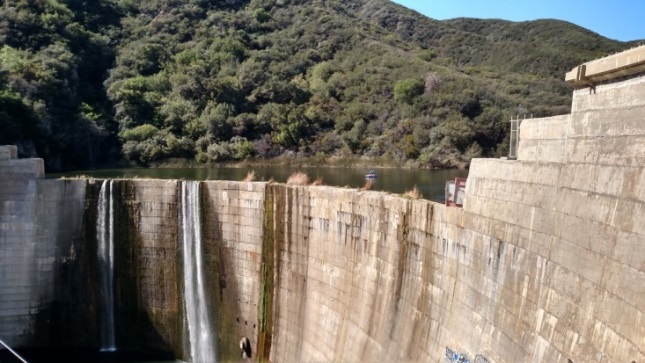 This caused the Casitas Municipal Water District to stop pumping water from the river to prevent potential water quality impacts to their Lake Casitas reservoir. While this prevented contamination, it also decreased the available water supply. The water pressure and supply had already been lower from power outages and from firefighters drawing water to fight the Thomas wildfire. 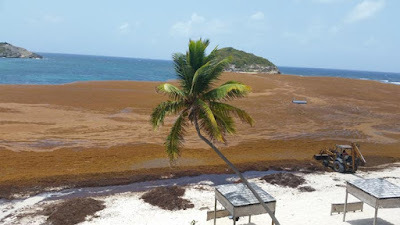 This pollution only made the problem worse. The Matilija Dam Webcam on January 9th. 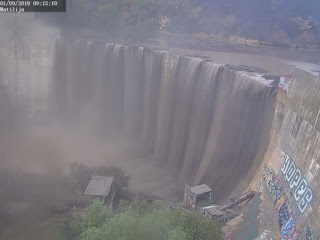 Severe turbidity entering the water supply. The Casitas Municipal Water District has plans to use water pollution prevention products to help. 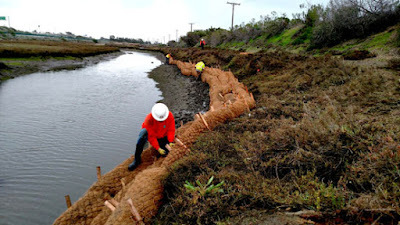 The products will clean up and filter the ash and debris, allowing the water district to begin pumping again from formerly polluted waterways, such as the Ventura River. According to Ron Merckling, a spokesperson for the water district, turbidity curtains will block sediment from flowing downriver and drop it to the surface. They are being placed on Santa Ana and Coyote Creeks and near an intake structure for Castaic Dam. 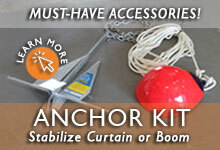 Booms that are up to 20 feet wide will skim the surface and will block floating material such as wood and brush. Ventura County is just one of the many communities facing these challenges. Neighboring communities such as Montecito have also had water breaks, power outages, and disruptions to their water supply. Fixes for these water quality issues can take weeks or even months. Fortunately, there are many options for minimizing the effects to water quality. 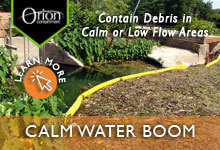 There are several solutions to minimize your contribution to contaminated stormwater runoff. These products can be used either before or after a rain event. 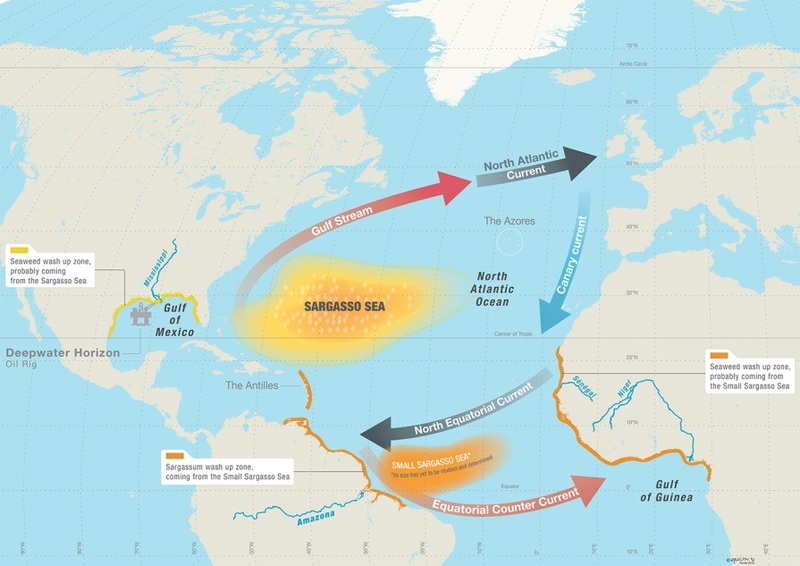 The first solution is to prevent the sediment, debris and contaminants from entering the waterways. 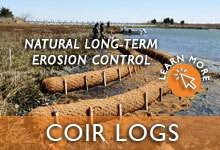 Soil erosion control products slow and filter the spread of the runoff before it enters water bodies. 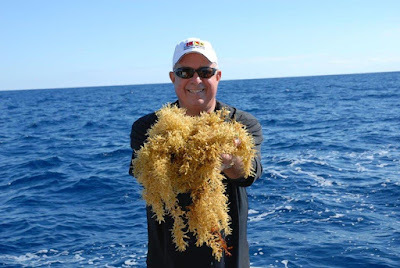 Straw Wattles can help prevent toxic urban runoff from entering water streams. They are placed perpendicular to the flow of the water. 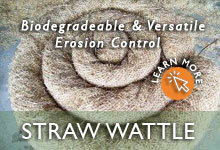 Straw or coir mats replace the hardened, burned earth with an absorbent ground cover. Silt fences collect sediment and slow the speed of water. Another solution is to use stormwater best management practices (BMPs), such as drain guards and ditch checks. These filter or stop the flow of water. 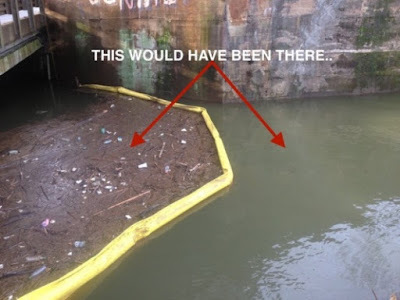 If the stormwater drains are not maintained, it can lead to costly cleanup. 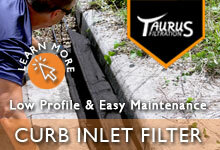 Avoid expensive fixes by maintaining the drains. 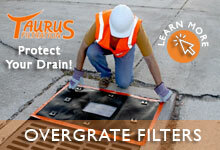 An Overgrate Drain Cover is placed over the drain to keep sediment and debris out of the drain. An Undergrate Drain Cover hangs underneath the drain cover to catch the debris below the drain. 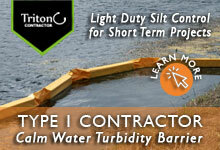 A Ditch Check acts like a temporary dam to filter sediment runoff. 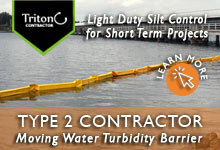 Another effective preventative solution for water-side property owners, associations and municipalities is the use of turbidity barriers. 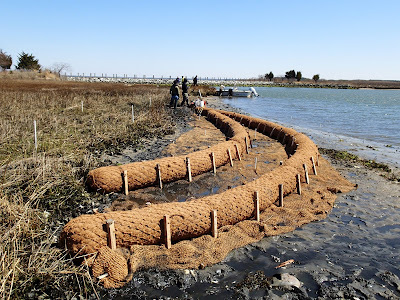 Turbidity curtains and booms are used as a last resort, once the turbidity and sediment has already entered the waterways. They float in the water, containing and slowing the settle of the sediment as it passes through the water. 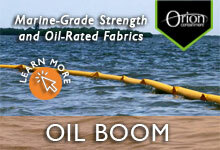 We have many variations of turbidity curtains and booms depending on needs and situation. 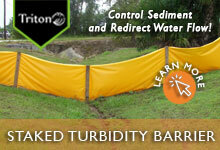 Turbidity Curtains slow the spread of sediment so it has time to settle to the bottom. Several types are available depending on water conditions. 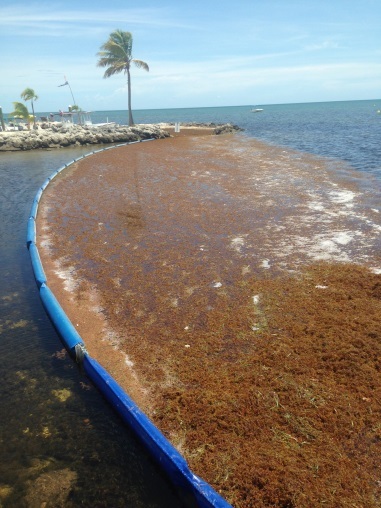 Debris Booms collect floating branches and trash debris. 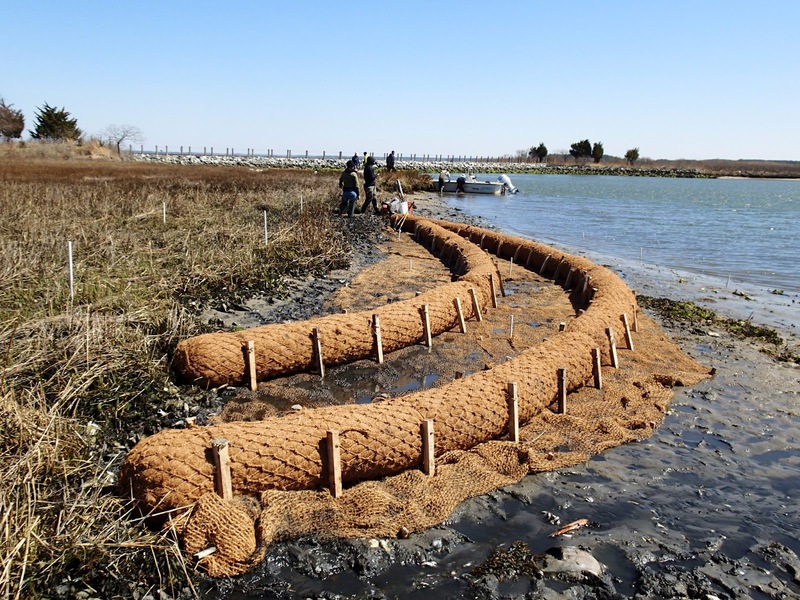 Staked Silt Barriers can be placed in shallow water (30” deep or less) to collect sediment and redirect the flow of water. The government is also finding ways to help. 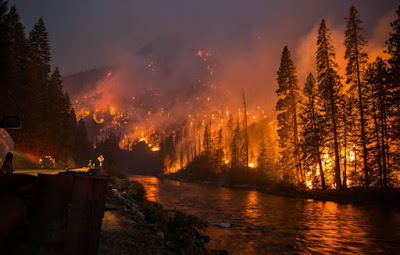 The U.S. Department of Agriculture (USDA) announced recently on January 17th that it’s investing almost $32 million this year to mitigate wildfire risk, improve water quality, and restore healthy forest ecosystems. 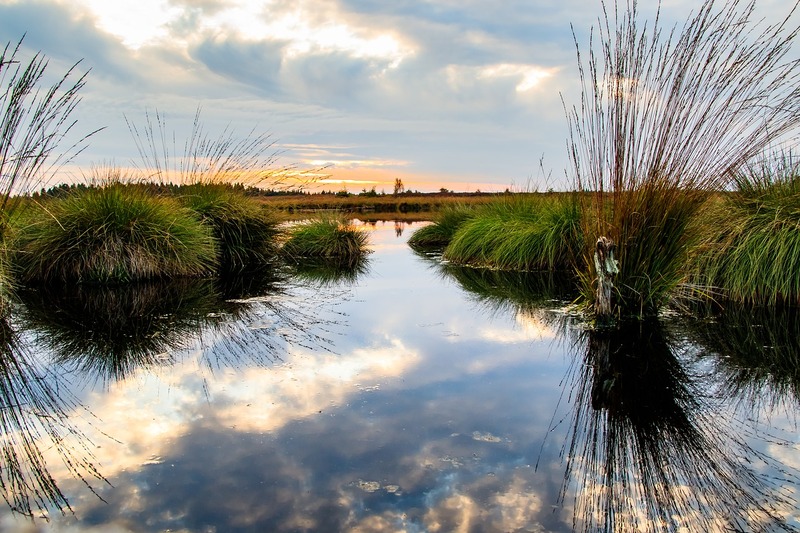 It will include supporting important watersheds, and reconnecting ecosystems that are vital reservoirs of biodiversity. The U.S. Forest Service is an agency of the USDA. Wildfires are a complicated and dangerous phenomenon. They can swiftly burn thousands of acres leaving behind charred earth and destroying communities, properties and lives. 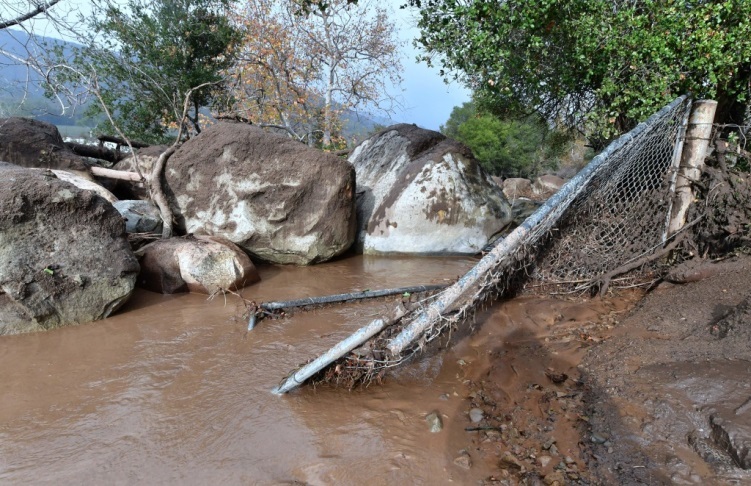 They can lead to massive mudslides and flooding, steep erosion of hillsides, and polluted runoff. They can affect the water supply and contaminate public and private water sources. Understanding the process of wildfires can help us in the future. Using preventative measures before, during, and after the wildfire can help control and mitigate its effects. Working together as a community, we can become more knowledgeable and better prepared for the future of wildfire. If you have questions about any of the wildfire solutions we discussed, please contact us at 772-646-0597 or visit us at GEI Works.